If you’re fed up with cords getting tangled and constantly needing to be plugged into a power source at all times, then a cordless clipper may be exactly what you are looking for. Depending on the quality, battery operated motors can be just as powerful as the corded competition, without all the unnecessary hassle of being plugged into a wall! While there is a big difference in how corded and cordless versions actually run their motors, the features that are used in the overall function of these tools, such as blade types and motor variations, are still the same. When researching a cordless clipper to buy, it is important to look at a few different elements: Cost, Quality, and Dependability. These factors will help you determine exactly what you’re looking for in a clipper and narrow down some of the choices. A clipper that is high quality is going to cost more, while a very dependable clipper can actually still be dependable while remaining affordable. Be sure to know what your criteria is for a tool so that you can find the perfect one for you. Curly and course hair: Thick and wild locks like this hair type will need a motor that can power through anything without overheating. The pivot or rotary motors would be best for this hair type; the Wahl Professional 5-Star Magic Clip is equipped with a rotary motor perfect for the job. 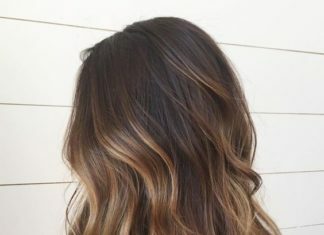 Straight, wavy, and fine: These types of hair are a bit easier on the motor. Even if the hair is thick, you probably won’t have to work too hard to get a razor gliding through these tresses. 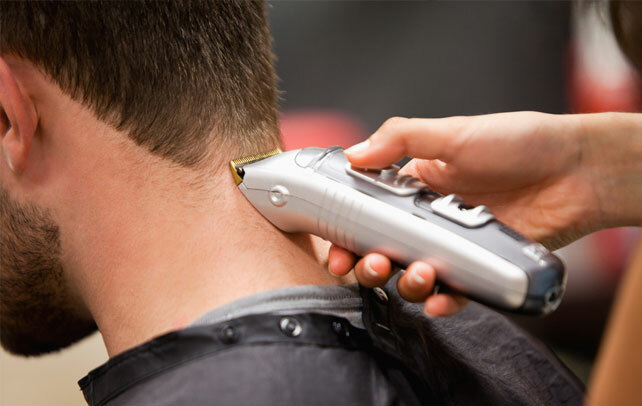 Great motors for these situations would be the magnetic or rotary motors; the Sminiker Professional Precision Clipper uses a magnetic motor that is silent and efficient. There is no doubt that when it comes to cutting your own hair, you want a tool that is not only affordable but also functional. 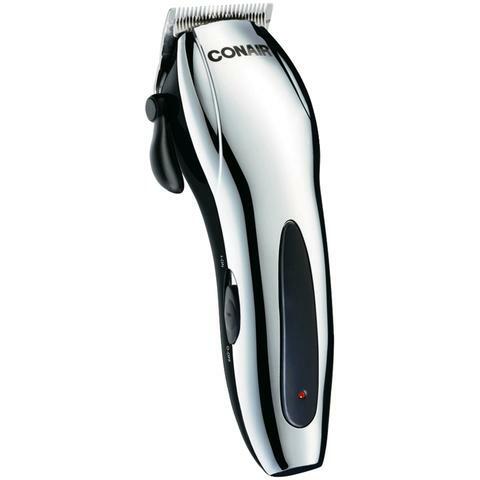 Conair does a great job with its Cordless Rechargeable hair clipper. This tool offers self-sharpening blades that provide a quick and clean cut, battery run time of 60 minutes, and 5-position taper control. With such elements you will be able to cut hair easily and cord free; unless, you want a cord, then there’s an option for that! The only downside to this razor is that, because it is of a lower price range, the quality will not be as high as a professional grade clipper. 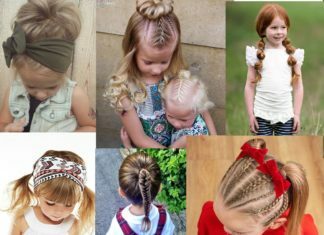 Due to this, the batter life may die completely within a few months, in which case the cord can be used in order to continue to the life of the Conair hair clipper. The Wahl Professional 5-Star Cordless Magic Clip is a clipper that features high precision, zero overlap blades that provide speed and easy use. On top of this, the lithium battery is able to run for a solid 90 plus minutes per charge! 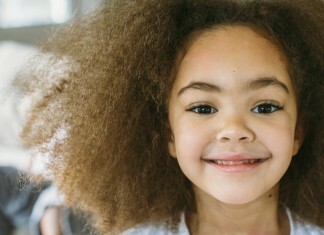 There is no doubt that you will be able to cut plenty of hair in that amount of time. The only real question is; will the motor be able to handle multiple cuts in a row? The answer to that is, yes! The 5-Star uses a rotary motor that is perfectly capable of cutting powerfully and quickly without overheating. It is the perfect blend for a motor. The only downside to this clipper is the price. 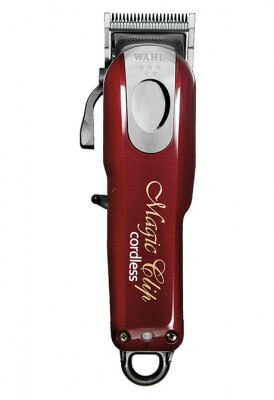 However, if you are not worried about a budget then this is by far the best cordless clipper you can get your hands on. It has an excellent battery life, quality high precision blades, and accessories (8 attachment combs, brush, oil, and guards) included. Everyone needs a good hair trimmer and there is no doubt that Andis Slimline Pro is one of the best out there. While there are quite a few good reasons for this claim, the main one being that this clipper offers up to 2 hours of run time on one charge! On top of that, it has an improved motor and a balanced body line that allows for quick and easy trimming. If you’re looking for a tool that can take your hair past a regular day trim and all the way down to a close shave, a trimmer may be the perfect product for you. Something to consider with the Andis Slimline Pro is that the blades do not come set up for you. Before using the trimmer you will need to adjust them to the zero gap setting and then you’ll be on your way (you use a separate tool to zero-gap your blade). Overall, you will be receiving an excellent little trimmer that has a powerful motor and amazing battery life if you purchase the Andis Slimline Pro. 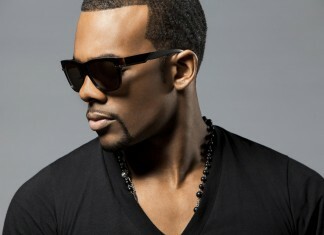 Wahl does it again with their Professional Designer Clipper. This amazing clipper is one at the top of the charts, and for good reason! First of all, Wahl steps away from the typical cream and maroon color pattern of their other clippers to introduce this cherry red number. With the white detailing and font, this clipper will not only improve the function of your hair cutting kit, but also the aesthetics of it. Besides looking great, this cordless clipper has a run time of 90-minutes on a full charge and features a sleek design that is lightweight and easy to use. 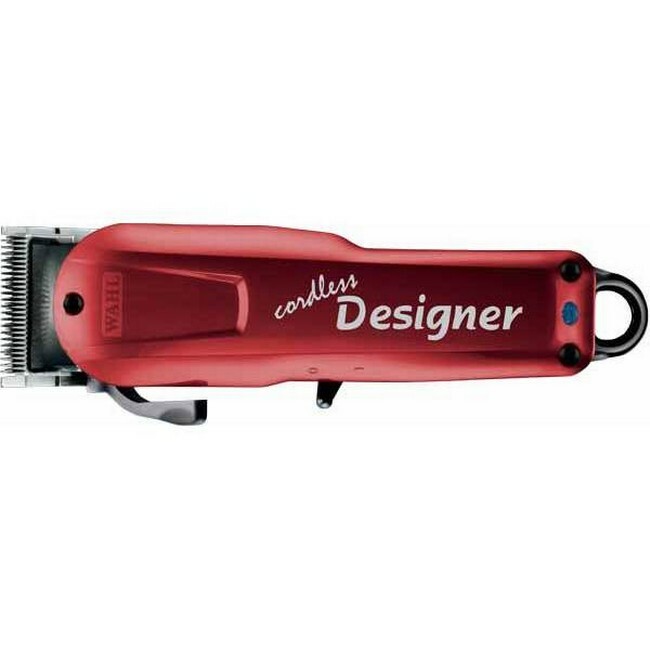 Throw in the fact that with your purchase you get the clipper, accessories, charging cable, a 1005 universal blade, and you can use the cord whenever you feel like it, and it’s easy to see why the Professional Designer Clipper is a fan favorite! The only thing to remember when it comes to a professional clipper is that quality means a higher price tag. 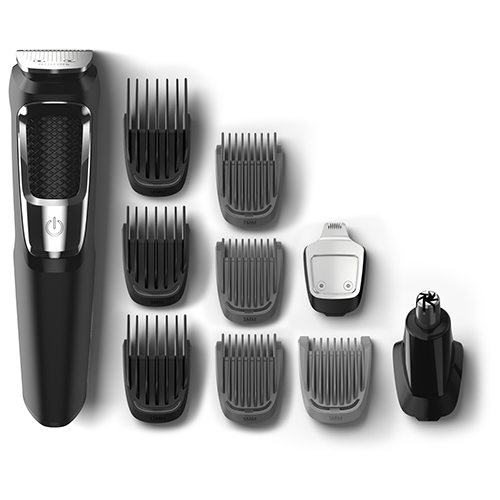 This may not be a problem for those without a strict budget, but if you are someone who doesn’t want to break bank over a hair clipper you may want to check out a few other options. This sleek and classy looking clipper by BuySShowis sure to steal the hair cutting show. 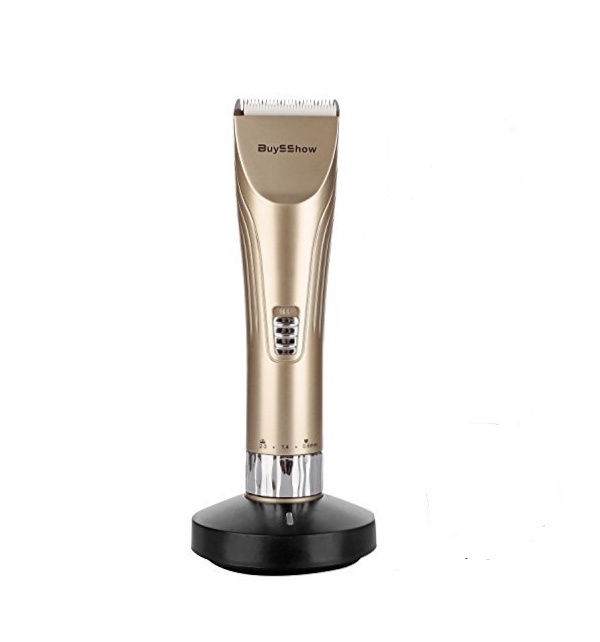 This conveniently sized tool is equipped with ceramic titanium blades offers a fantastic shave that will last long term without the chance of rusting. Of course proper maintenance will be needed to ensure that the blades function correctly but the high quality material definitely makes this an easy task! Pair the amazing blades with a precision magnetic motor and you have a clipper that is perfect for cutting even a baby’s delicate locks. The muffler technology really helps to reduce excess sound, which makes the hair cutting experience much more enjoyable for everyone. There aren’t many negative elements to this clipper, unless you count charge time taking around 3 hours. However, the amazing thing is that you can still use this clipper while it is charging and once it is done, you have 8 hours of working time before it needs to be recharged! 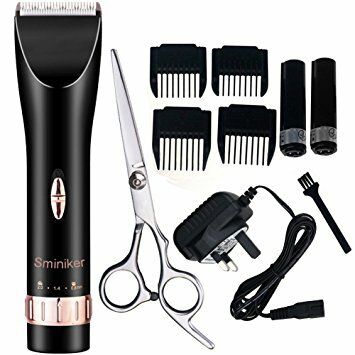 The complete Sminiker Professional Hair Clipper set has the beginner hair dresser covered with accessories such as stainless steel scissors, comb attachments, and a cleaning brush. With all of these things and a great clipper to boot, this kit is an excellent choice for those who want to save money by cutting hair at home. It is extremely affordable and offers features that make hair cutting a breeze, a few of which are titanium and ceramic blades paired with a low vibration precision motor. Because of the Sminiker doesn’t make a lot of noise, this is the perfect tool for kids and babies who may just be getting used to receiving haircuts. Overall, if you are someone who is on a budget and wants to find a hair clipper that is affordable yet dependable, this clipper may be the one for you! It is a great find that will have you cutting hair like a pro without breaking the bank. 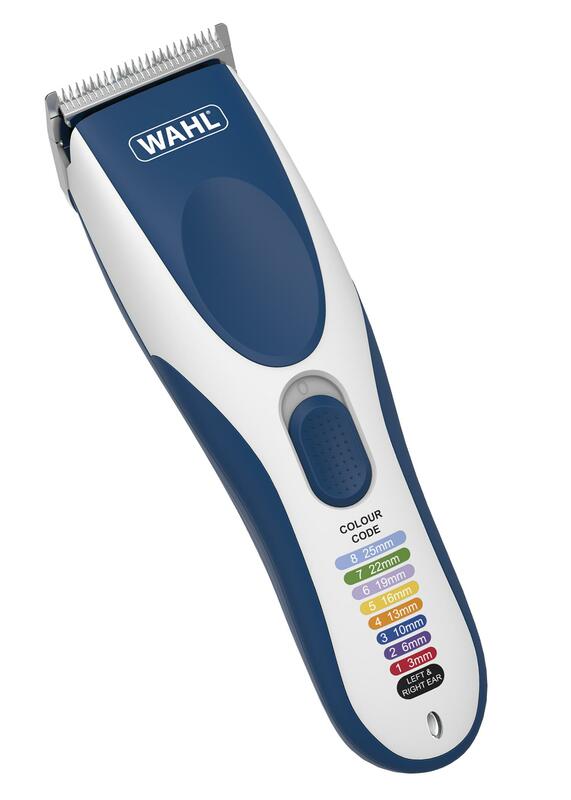 With the Wahl Color Pro Cordless Hair Clipper, you get everything that you need to start cutting hair at home for an affordable price. This professional clipper set includes a clipper with self-sharpening, high-carbon steel blades that are of excellent quality. The color coded guide combs and key on the body of the clipper makes this tool extremely beginner friendly. Pair that with a bundle of accessories and you are ready to go! 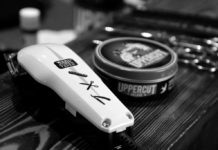 Overall, this clipper is affordable, has a 60-minute run time, and convenient color coded guards that are designed to make cutting hair easy and carefree. Get ready for a hair trimmer that can cut with maximum precision thanks to its DualCut technology. The Philips Norelco Multigroom Clipper has a high powered lithium ion battery that is capable of producing 60-minutes of work time on a full charge. This, combined with self-sharpening blades made with tempered steel, allows for a quick and clean cut every time. Probably one of the best parts about this specific clipper is the fact that you can get multiple functions out of one tool for a very affordable price. This can be done thanks to the extra guides that are included (nose and ear trimmer, 3 hair trimming guards, 3 beard trimming guards, stubble guards). Overall when purchasing this product, you are getting a tool that is great for cleaning up edges as well as grooming any other little hairs that need to be taken care of; no matter where they are. The Multigroom series is gentle and efficient, making a great beginner’s clipper. Before buying a cordless hair clipper it is important to consider just how long you will want to be cutting hair. This is because each hair clipper has differing quality of batteries; some last much longer than others and are typically more expensive. While this isn’t always the case, it is a general rule of thumb that clippers who have a longer battery life will be a bit more expensive than those with less battery storage. So, if you are someone on a budget you can still find a great clipper, it may just need to be recharged more often. On top of thinking about battery life, it is also a good idea to consider the reviews that are left about a product. Sometimes, companies that may not have that great of a product can generate great reviews by bribing customers with free products. If you notice that a product online has nothing but good reviews (5-stars across the board) it may be better to search for a different product. No matter how good a product is, there should always be a few negative or less than perfect reviews, as all people won’t generally be pleased with a product entirely. The biggest factor that you should consider when purchasing a clipper is not necessarily the brand, although some are better than others, but rather they type of motor that runs that clipper. 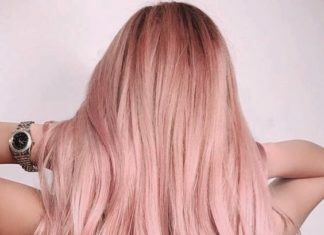 As we already mentioned above, it is important to know which motor works best for which hair type, otherwise, you can over work the motor and shorten its lifespan. If you are just cutting your own hair, consider your hair type and which motor would be best for you individually. On the other hand, if you are going to cut multiple people’s hair, it may be a good idea to choose a motor like the rotary in order to have a well-balanced clipper for all hair types. There is no doubt that those with curly hair understand the struggle of getting hair products to tame their locks without any complications. That is why using a heavy duty motor that can get the job done without overheating is so important, therefore use a rotary or pivot motor for this hair. 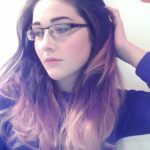 Curly hair that doesn’t have as much bulk to it can still be a bit of a challenge, but you can get away with using a less heavy-duty tool. A rotary motor, of course, would be an excellent choice. However, if you are needing to save a bit of money or are just cutting hair occasionally, a magnetic motor could be the perfect alternative. Straight hair, surprisingly, can still be a challenge for any blade depending on the hair’s thickness. So, if you have straight and thick hair, or hair with a bit of wave to it, you may want to look into a hair clipper that has a rotary motor. This is because, regardless of how thick your hair is, this motor can get the job done. This is the easiest form of hair to cut. 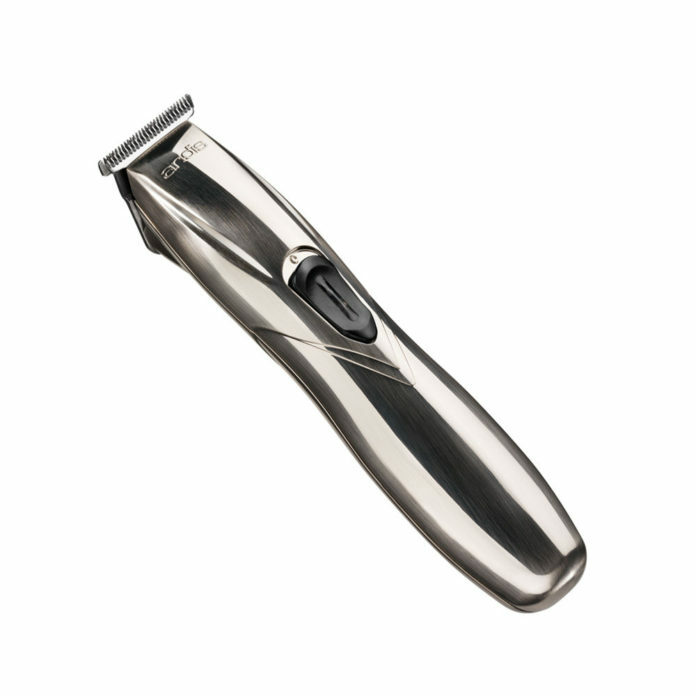 With it being light and straight, the razor doesn’t have to work hard at all to get the hair to absolute perfection. A magnetic motor would be perfect for this type of hair as it is quick, light, and efficient. Apply cleaning solution or half white vinegar on a pad or cotton ball and rub it onto the blades. Drop a bit of the hair clipper oil on the blades while the clipper is running,. Cordless hair clippers are a great tool for those who like to travel or simply enjoy having a free range of motion while working. Regardless of what your reason is, there are a lot of awesome hair clippers out there that offer quality material, great motors, and blades that will leave hair looking trimmed and well-kept. It is important to remember that when searching for a new tool, be on the lookout for something that is affordable, made well, and will get the job done in the best way possible. Cutting hair at home is a great way to save money and learn a new skill, so find yourself a quality tool and get started!